Revolutionize your sourcing process and results. Our FlexRFP eSourcing solution is battle tested over the last 16 years to deliver a powerful, yet easy solution that can facilitate simple quotes in minutes or very complex data sets with over ten thousand records and everything in between. 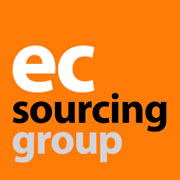 EC Sourcing Group helps companies streamline and automate their sourcing and supplier management processes by providing a suite of solutions that meet your day-to-day reality. We’re managed and staffed solely by expert sourcing professionals so you can count on us to deliver and support a solution that is right on target – and right on the money. Our solutions are affordably priced and feature a host of logical acquisition options that allow you to get the feature-rich solution you’ve been looking for at a price that doesn’t break the bank. This unique combination of robust functionality that is easy to use for buyers and suppliers alike results in increased adoption and faster ROI. So easy that suppliers require zero training to use it. FlexRFP is available in ten user interface languages making the supplier experience that much easier since they can view the software in their native language.